As we begin the 2016-2017 school year, we want to take a moment to talk about the free money opportunities for our schools. Earning free money is simple and easy and the program is responsible for providing our school with such items as playground equipment, PE equipment, a tarp for the playground, art room supplies and many other items. 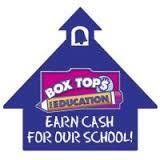 Last year, our three schools raised over $7,000 through box tops alone! We need your help to make this year the best yet! These are the 10-cent coupons (as well as bonus certificates) attached to many grocery items. These are not just food items: many of your office supplies, Ziploc bags, Kleenex and even your Hanes clothing include Box Tops! Download the PDF below for a full list of products that offer Box Tops! Cut out the box tops and either attach them to a collection sheet (glue, tape, staple) or turn them in in bags clipped and counted. Please label all bags/sheets with your child’s name and teacher so you get credit for various incentives we provide throughout the year. Download a Box Tops Collection Sheet to print out (PDF). Look for these seals on Tyson products like chicken nuggets, chicken strips and grilled chicken. Send in the entire 123 project A+ label from the bag tops or box ends in a baggie with your child’s name and teacher on it. Enter your OWN coke codes and donate your points to your school. Due to changes in the program we are NO LONGER able to accept caps and codes sent in by students. 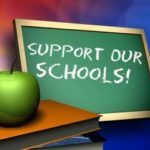 This is a no hassle way to raise money for our schools just by shopping. 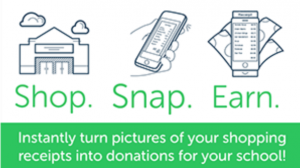 Simply download the app, choose your school and snap and upload a picture of your receipt from grocery, department stores and more! 5. Amazon Smile: Through this program, the AmazonSmile Foundation will donate 0.5% of the purchase price from your eligible AmazonSmile purchases back to the PTO. All you need to do is use a special URL – smile.amazon.com – once you’ve signed up. 6. Randalls: Link your Remarkable card to our school. 7. OfficeDepot: At checkout as them to add your school’s number to your transaction and the school will receive 5% back! 8. 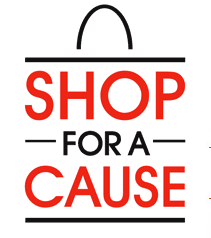 Online Shopping: Go to www.shopforacause.com, select your school and proceed to your website (Amazon, Kohl’s, Target, etc.). 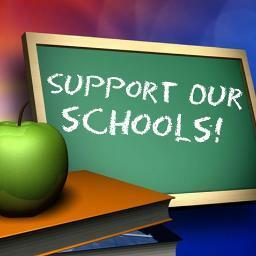 Our school will receive a percentage back. Thanks for your support of our Free Money programs!